Light, elastic knee support tubular and seamless. 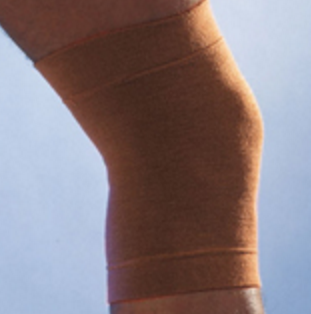 Light, elastic knee support tubular and seamless, in soft wool that improves the beneficial warming effect. Size: 1 (28-34cm), 2 (34-38cm), 3 (38-42cm), 4 (42-46cm), 5 (46-50cm). Knee circumference in cm.